Looking for a charming picture book to share the true meaning of Christmas with your children? 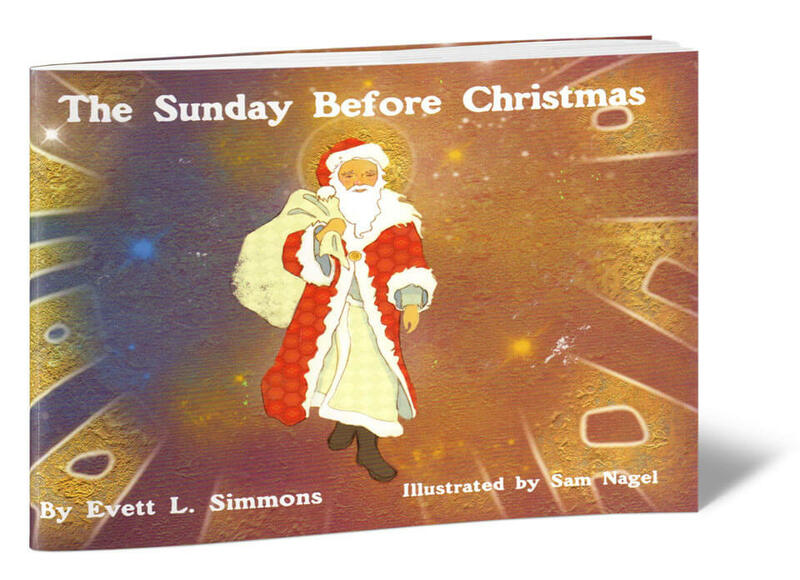 The Sunday Before Christmas begins with a twist on the famous poem by Clement Clarke Moore: “’Twas the Sunday before Christmas and all through the Church…” In the opening scene, we see St. Nicholas walking down the church aisle with a sack of gifts on his back. These gifts are different from the usual consumerist stuff. Instead, these gifts are straight out of the Gospel–faith, hope, family, friendships, and salvation. True to the Bible and appropriate for a church or Sunday school setting, The Sunday Before Christmas shows the power of the Lord to get His work done every day of the year. Lovingly illustrated by South Florida artist, Sam Nagel. A children’s picture book, perfect for ages 3-7. 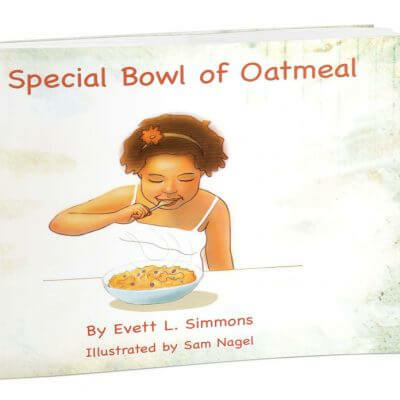 Thus begins the charming children’s picture book from author Evett L. Simmons. A devout Christian, Simmons has penned this book specially for Sunday School teachers, pastors, church elders, parents, and anyone interested in finding a home for Santa Claus inside the church. While some people object to the pagan origins of the Santa Claus story, the fact is that this jolly, festive symbol bears many marks of the faith. In the Sunday Before Christmas, Simmons imagines that one day, as she is praying in church, St. Nicholas comes walking down the aisle with a sack of gifts on his back. Different from the usual materialistic items, these gifts are the kind that give people relief–faith, hope, family, friendships, courage and patience. If you’re looking for a way to combine the culturally popular myth of Santa Claus with the deeper spiritual message of the birth of Christ, then this might just be the book for you.